So you’re sick of paper. Sick of trips to the bookstore. Sick of the weight of a fist-thick textbook in a backpack. Sick of working your laser printer to death for a stack of papers you’ll read once and trash (and sick of the guilty feeling you get when you do it). It’s time for an e-reader. The once unheard-of category has been exploding recently thanks to the introduction of hot models like Amazon’s Kindle, which turned the market upside and whet consumer appetites for a device most of them didn’t even know existed. But what can you expect from an e-book reader, what should you look for in one? Here’s a primer on the advantages of e-readers, how to buy one, and a few specific models you’ll want to check out. Prior to ink, there were no books. And prior to electronic ink, there were no e-books. It’s the vital display technology that makes reading off an e-reader different – and better – than simply firing up your laptop. You can read our comprehensive guide to electronic paper for the lowdown on how it actually works, but here’s the critical difference that sets it off from an LCD screen: electronic ink holds an image without electricity. So while an LCD screen drains away juice every second its on during your 12-hour plane ride, an e-reader only requires a tiny dose of electricity when you flip the page, giving it exponentially longer battery life and taking the sense of urgency out of reading. E-readers even display attractive screensaver images when they’re off, since they require zero energy to maintain. Almost as importantly, electronic ink looks smoother and strains the eyes less than an LCD screen. The smooth edges of type actually look like printed paper, and since the screen doesn’t refresh 60 times a second as most LCDs do, there’s no imperceptible flicker that gives many people headaches after prolonger reading on an LCD. Unfortunately, at the moment, almost all electronic ink is monochrome. For instance, the Kindle delivers 16 shades of grey. 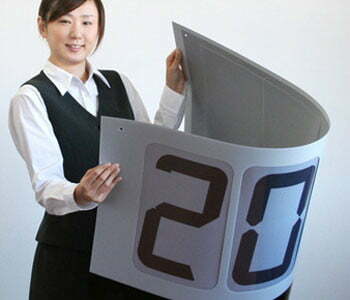 Color electronic paper is on the way, and Fujitsu already makes a Japanese e-reader that will do 260,000 colors, but it’s extremely slow refresh times present their own problems at the moment. And even monochrome e-readers can’t play video and animations the way an LCD can. Where do I buy e-books for my e-Reader? Once you have an e-reader, you’ll need to score some e-books to fill it up. And depending on which reader you have, the options may look totally different. 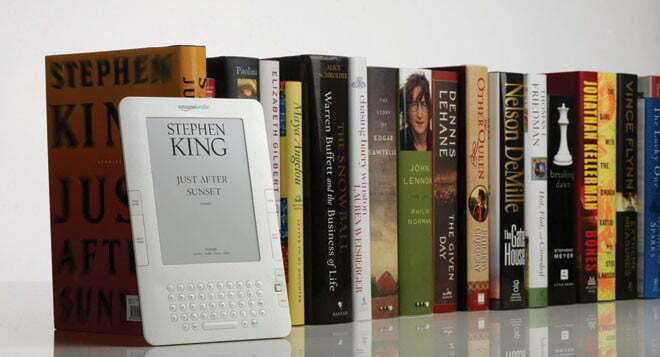 Amazon’s Kindle became the most popular e-reader on the market today largely because of its exceptionally cozy connection with Amazon’s own library of digital books, which currently hosts 385,000 titles. Because the Kindle comes with a built-in wireless modem and a limited access plan known as Whispernet, owners can download books anywhere they get cell phone coverage: on the bus, at the airport, or just lounging around at home. Unfortunately, Amazon only sells files in its own proprietary AZW format, which only work with the Kindle series of e-readers. 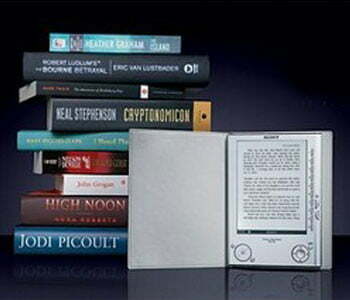 Sony offers it own library known as the e-book Store. While the number of for-sale books hovers somewhere above 100,000, Sony has recently supplemented the store with free public domain books supplied by Google, to the tune over 1 million titles. Unlike Amazon, Sony offers all of its titles in the open EPUB format, which will work on multiple devices. Barnes & Noble’s eBook store is a latecomer to the market, but boasts the most impressive selection: over 1 million titles in the catalog, plus all the same public-domain titles from Google that Sony’s store offers. 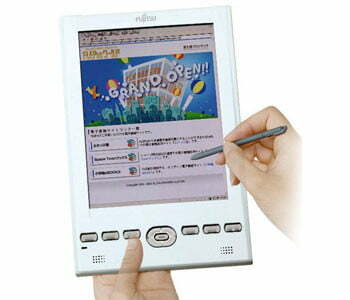 It caters primarily to the Barnes & Noble Nook e-reader, but others, like the iRex DR800S, also tap into it. Of course, you don’t need to visit the goliaths to buy e-books. Sites like e-books.com, Fictionwise (partnered with Barnes & Noble), and Mobipocket all offer books for sale as well. And sometimes you don’t even need to spend. Project Gutenberg offers over 30,000 free books in the public domain. Once you own a paper book, it’s yours to do with as you want. You can read it, sell it, and if have it locked up in your house, no one can take it away from you. The same is not true for e-books. Although e-book stores may give the impression you’ve paid for an electronic copy of a book, you’ve really only paid for the right to read it, and as many folks have found out, those rights aren’t transferable. They’re protected with digital rights management, or DRM. So after you’ve paid $10 for a DRM-protected book – the same price you might have dropped at a bookstore, or even Amazon itself – there’s no way to recoup it later by selling it. And if you wanted to lend it to your friend, you had better hand over the whole reader. Digital books aren’t as permanent as their paper predecessors, either. 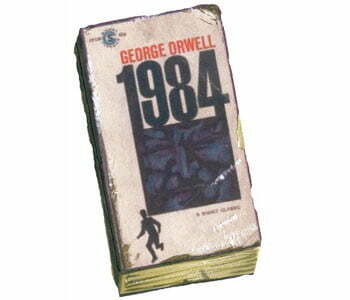 Only back in July, Amazon accidentally sold electronic copies of George Orwell’s 1984, which it didn’t technically have the rights to distribute. To remedy the error, Amazon deleted the books from users’ devices and refunded them the money, leaving many to return to their Kindles and find one of their books missing. Unless you’re the frequent victim of literary cat burglars, that seldom happens with the paper copy of 1984 on the bookshelf over your bed.